A guide to walking the southern dales of the White Peak area of the Peak District, England UK, between Ashbourne, Matlock, Buxton and Leek. In 1951 the Peak District - 555 square miles of breathing space between the cities of Manchester and Sheffield - became the UK's first National Park and rightly so. This much-loved landscape has cultural integrity, geographical variety, treasured wildlife habitats and lots of recreational opportunities. Its rockier southern half, the White Peak, takes its name from the underlying limestone and is a charming mosaic of idyllic villages, pastures, woods and valleys. The walks in this guide explore both the high rolling plateau and the seclusion of the side dales, following the twists and turns of the Dove, Manifold and Hamps rivers. 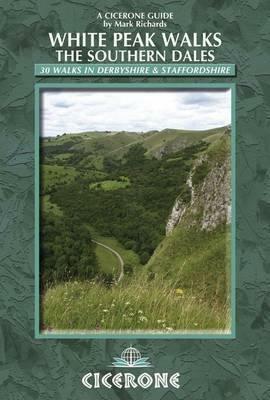 The book offers a wide selection of easy circular routes of up to 10 miles, illustrated with OS map extracts and forms one of the first two books in Cicerone's three-volume series on the Peak District.